WASHINGTON (Oct. 23, 2009) -- Ground sensors that are part of the Army Brigade Combat Team Modernization program were recently overhauled in line with input from Soldiers. The Tactical-Unattended Ground Sensors, or T-UGS, are a set of rugged electronic sensors that allow Soldiers to monitor an area from a distance through a wireless computer network. After evaluating those sensors in late 2008 during a preliminary limited user test, Soldiers at the Army Evaluation Task Force at Fort Bliss, Texas, made suggestions that led to modifications by the manufacturer -- changing both the size and shape of the sensors. This video camera, part of the Tactical-Unattended Ground Sensors included in Army brigade combat team modernization, got an overhaul that was spurred on by Soldiers who are part of the Army Evaluation Task Force at Fort Bliss, Texas. The T-UGS sensors were made lighter and easier to handle as a result of AETF Soldier input. "We took these out there, me and my Soldiers, we set them up, and we used them," said Sgt. Tucker Platt, an AETF Soldier, about the older generation of T-UGS sensors that he and his team tested during the evaluation. "We let Textron know that they are bulky and hard to carry around." Manufacturer Textron responded with a new set of T-UGS that look completely different than what Platt and his fellow Soldiers originally tested. "Now we have a detached camera that we can move around and hook to any platform," Platt said. "And we didn't like the size and we needed something easier to carry and easier to hide. So they gave us this box basically, low-profile and you can pack it away easily." The manufacturer was able to respond to suggestions from AETF Soldiers in record time, as well, said Paul Mehney, a spokesman with the Army Brigade Combat Team Modernization program. "We were able to turn with Textron, turn a new design around in a matter of about six months and get it back down to these guys, which frankly is pretty amazing," he said. Platt is a squad leader with AETF, has been in the Army for four years now, and served in Iraq prior to his work as part of the AETF. He said he never expected in his career to have such an impact on how the Army will conduct business. "This will directly affect the future Army," he said. "And it feels good to know that what we're doing now and what we are testing is going to benefit and possibly save Soldiers' lives in the future." If Platt deploys again to Iraq, he says the equipment he and his Soldiers tested as part of the AETF is something he thinks would add to Soldier effectiveness in theater. "I definitely want to take this stuff with me," he said. The T-UGS system includes several pieces of equipment that can be carried in a Soldier's rucksack. 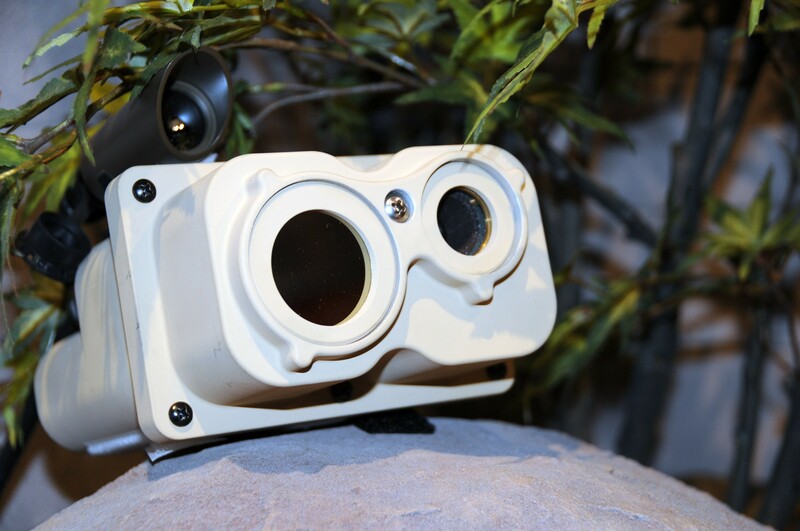 The system offers the ability to transmit visual, audio and seismic information into a theater-wide wireless network that will allow Soldiers to monitor where they've been without having to leave Soldiers behind. The sensors are part of the "Increment 1" set of equipment that will be fielded to a total of seven brigade combat teams beginning in 2011. That set of equipment includes both Tactical-Unattended Ground Sensors, Urban-Unattended Ground Sensors that can be placed inside buildings, the Small Unmanned Ground Vehicle, the Class I Unmanned Air Vehicle, the B-Kit, which adds network capability to the Humvee, and the Non-Line of Sight Launch System. Staff Sgt. John Benton also serves as part of the AETF and was responsible for working with the NLOS-LS, a containerized launch unit containing 15 precision attack missiles paired with a joint fires control system. The system is helicopter-sling-loadable and air droppable and can launch missiles up to 40 kilometers. Benton said the system's accuracy, when it is first fielded in 2011, is going to bring indirect fire capability to theater -- something not used now. "In combat now we don't use indirect because there is too much collateral damage," he said. "But with this piece of equipment, I am able to attack a lot more targets with the commander saying it is okay because the collateral damage is so limited. It'll go in, attack that target with precision, destroy that target and that's the end of it. It won't take out a whole building or whole block or have a whole lot of collateral damage." Also, Benton said, the NLOS-LS brings the indirect fire capability down a notch in the command structure -- providing to battalion commanders something that had before been available only to brigade commanders. "Normally you can only get this approved through brigade, but what we have seen looking at it, is actually attaching this to battalion level and letting that battalion commander use these at his own will," Benton said. "You can say you have three boxes, this is how much ammo you'll have -- do what you want to do with it. That gives a commander a great amount of power to reach out to his sector, because these things cover 40 clicks." At the AETF, Benton manages computing systems for the NLOS-LS during evaluations. He said he feels the responsibility of ensuring the equipment is right before it get out to the larger Army. "We take pride in that," Benton said. "We have to know what we're doing, that way whoever gets this equipment down the line knows it's ready to go, and they'll be squared away, and they can save more lives that way." The first of seven brigades will get those Increment 1 capabilities in 2011, two brigades will get the capabilities in 2012, and four additional brigades will receive them in 2013, officials said. After 2013, officials expect the Army will field Increment 2 capabilities to brigades. That package of capabilities includes the Class IV UAV, two unmanned vehicles, and a common equipment controller. Additionally, Increment 2 includes upgraded versions of what came in Increment 1. The AETF, also known as 5th Brigade, 1st Armored Division, includes many combat-veteran Soldiers tasked to test and evaluate the ease-of-use and efficacy of Army equipment. Maj. Gen. John R. Bartley, program executive officer, integration, directs the Army's brigade combat team modernization efforts. He said the work done by Soldiers as part of the AETF is key to developing modernization to the Army. "I refer to them as the Army's test pilots. They test it out before putting it in the hands of Soldiers," Bartley said. "The ability to have the Soldier use it in an operational environment and for them to give feedback to us ... is absolutely essential."